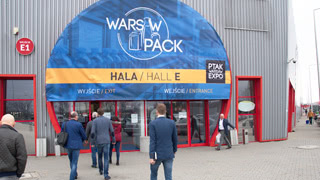 Taropak is the biggest fair event for Polish and Central-Eastern European packaging industry. For almost twenty years, Poland has been one of the largest packaging markets in Europe. Packaging industry has modern means of production and uses the latest technology, which is due to, among others, granted EU funding. Thanks to this the Polish packaging market is growing dynamically. The overall tonnage of produced packaging increased from 1.3 million tonnes in 1998 to 4.1 million tonnes in 2010, which is over a 300% growth dynamics. 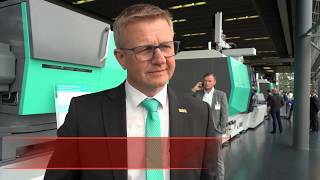 The next years have also been characterized by trends, which favours the expansion and modernization of production potential. Thanks to this the offer of the packaging industry located in Poland is fully competitive in foreign markets. Today, the packaging industry in Poland consists of about 7 thousand companies, therefrom 4.3 thousand major companies in the market. Approximately 2.3 thousand are manufacturers; approximately 1.2 thousand are companies, which render packaging services or handle the packaging industry, and approximately 800 distribution companies. In 2010 packaging consumption per capita in Poland by value amounted to 157 euros. Currently, the packaging market in Poland constitutes 1.3% of the global packaging market. Successful forecasts for the development of the market translate into an increased demand for advanced packaging solutions and logistics in Poland. Both of these industries are strongly represented at the TAROPAK trade fair in Poznań.